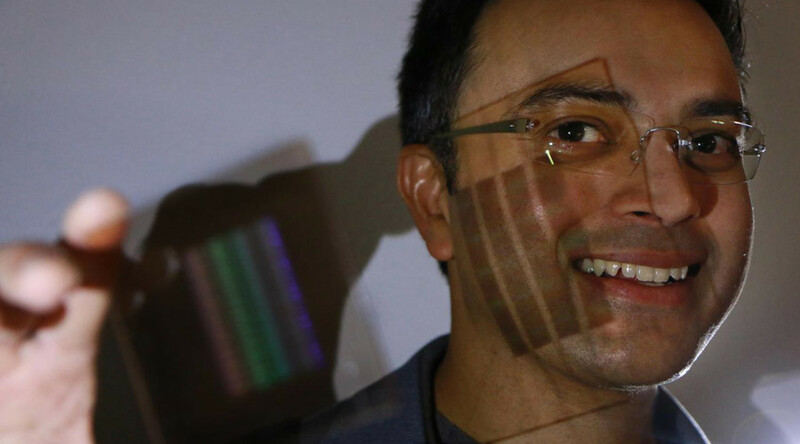 Smartphones, cameras, and eyeglasses could soon be radically transformed thanks to a newly developed super-thin lens. It's 10 times thinner than the width of human hair, and millions of times thinner than a present-day camera lens. The invention was developed by Rajesh Menon, an electrical and computer engineering professor at the University of Utah, and a team of colleagues. Their work is detailed in a paper published on Friday in the journal Scientific Reports. The breakthrough is particularly significant because researchers previously believed that ultra-thin optical lenses for cameras and other devices were impossible, because of the way all the colors of light must bend through them. "Our results correct a widespread misconception that flat, diffractive lenses cannot be corrected for all colors simultaneously,” Menon said in a press release. "Instead of the lens having a curvature, it can be very flat so you get completely new design opportunities for imaging systems like the ones in your mobile phone." In order for a camera to capture a photo, or for your eyes to focus on an image through eyeglasses, different colors of light must pass through the lenses and converge to a point on the camera sensor or on the retina of the eye. At present, cameras typically use a stack of multiple curves lenses to focus all of the colors of light to a single point. Numerous lenses are needed because colors bend differently, and they are designed to ensure that all colors come to the same focus. The current process is based on the concept of refraction – but Menon and his team managed to focus on a different principle: diffraction. Through this process, light interacts with microstructures in the lens and bends. "In nature, we see this when you look at certain butterfly wings. The color of the wings is from diffraction. If you look at a rainbow, it's from diffraction," Menon said. "What's new is we showed that we could actually engineer the bending of light through diffraction in such a way that the different colors all come to focus at the same point. That is what people believed could not be done." The result was a flat lens – known as a 'super-achromatic lens' – that can be 10 times thinner than the width of a human hair, or millions of times thinner than the camera lenses of today. It can be made of any transparent material, such as glass or plastic. Creating it was no easy task – it required the researchers to use specific algorithms to calculate the geometry of a lens so that different colors could pass through it and focus to a single point. 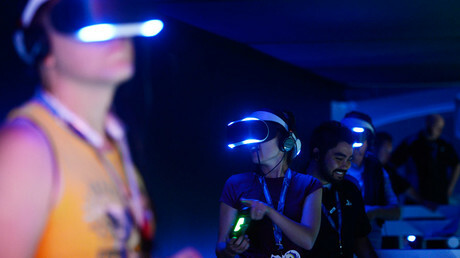 The result could be revolutionary for the appearance and weight of devices such as smartphones, cameras, and eyeglasses. Smartphones could come with high-powered cameras that don't require the lens to jet out from the phone's body, such as the lens currently does for the iPhone 6S. But the development could also have further-reaching benefits, including use for medical devices, in which thinner and lighter endoscopes can peer into the human body. It could also provide drones and satellites with lighter cameras, as reducing weight on such devices is often critical. Menon believes the research could be implemented within the next five years.